Dawa Penjor, Executive Director along with Mr. Rinzin Wangchuk, Dzongkha Editor of Kuensel, and Sonam Dema, a producer of Bhutan Broadcasting Corporation attended the second Asian Investigative Journalism Conference in Kathmandu, Nepal, from 23-25 September. BMF being a member of the Global Investigative Journalism Network (GIJN) had received the fellowship to attend the conference while the two journalists had applied to GIJN and selected were by BMF and GIJN. The conference was attended by nearly 350 top investigative reporters, data journalists, and media law and security experts from 45 countries. 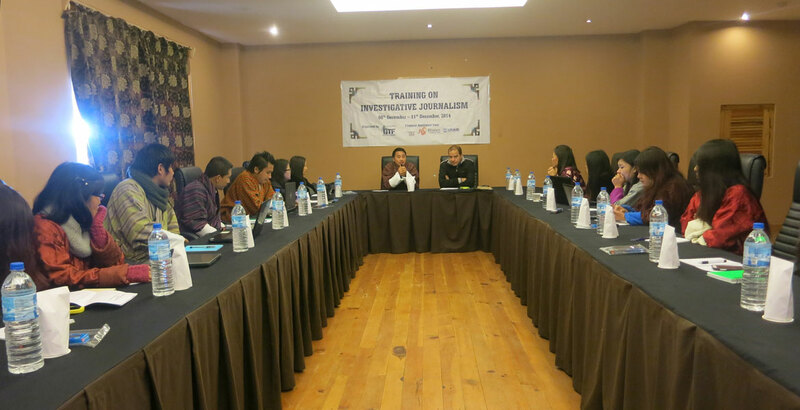 It was organised by GIJ), Konrad-Adenauer Stiftung (KAS) and the Centre of Investigative Journalism (CIJ) Nepal.